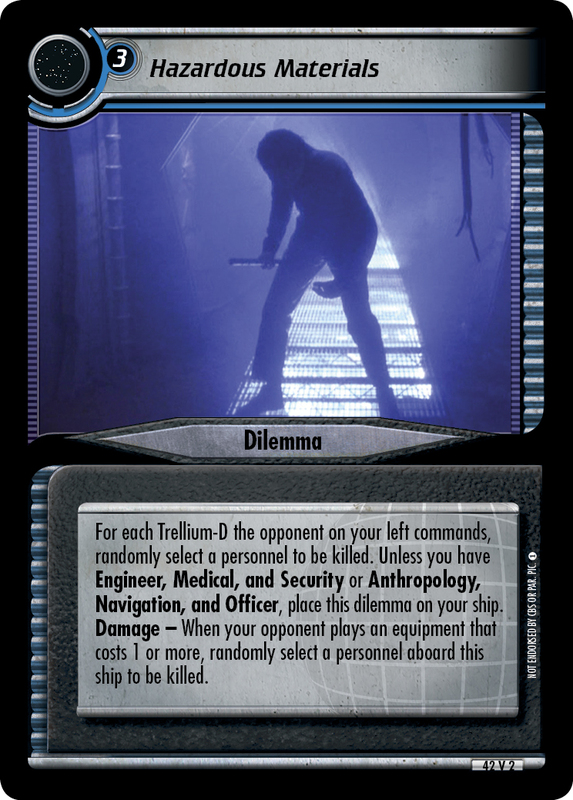 For each Trellium-D the opponent on your left commands, randomly select a personnel to be killed. 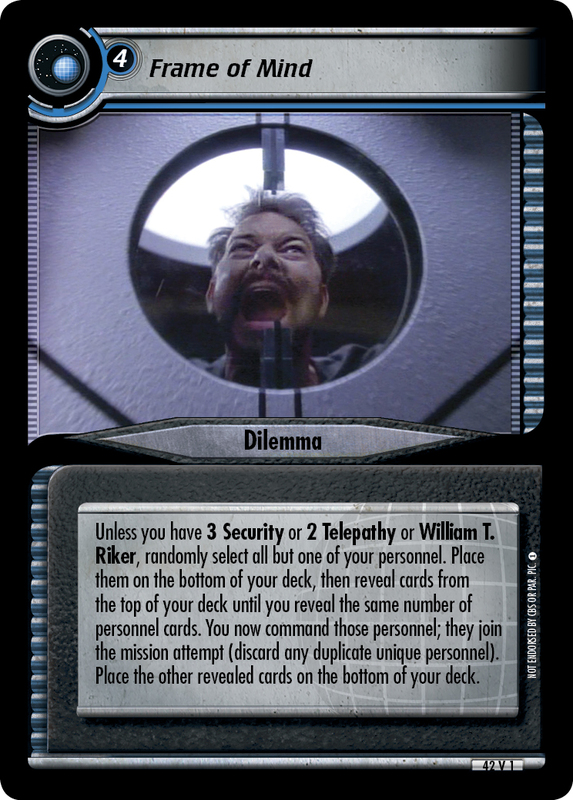 Unless you have Engineer, Medical, and Security or Anthropology, Navigation, and Officer, place this dilemma on your ship. 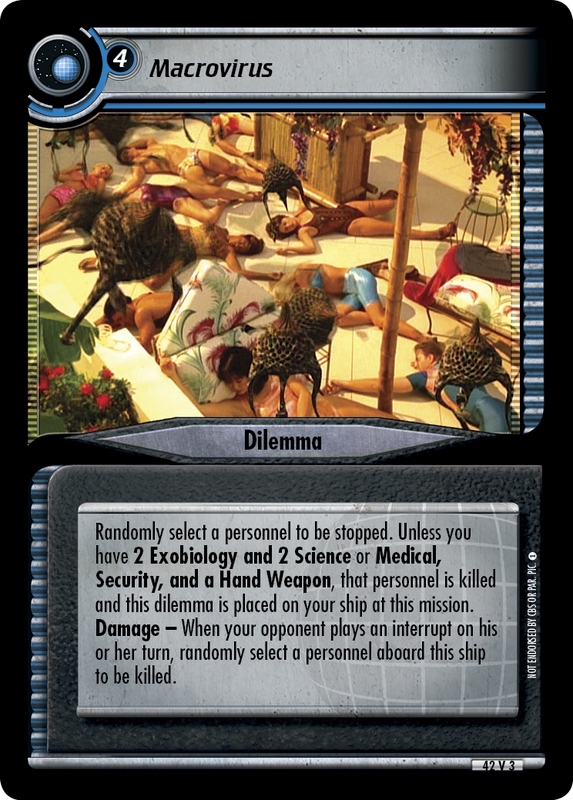 Damage - When your opponent plays an equipment that costs 1 or more, randomly select a personnel aboard this ship to be killed.